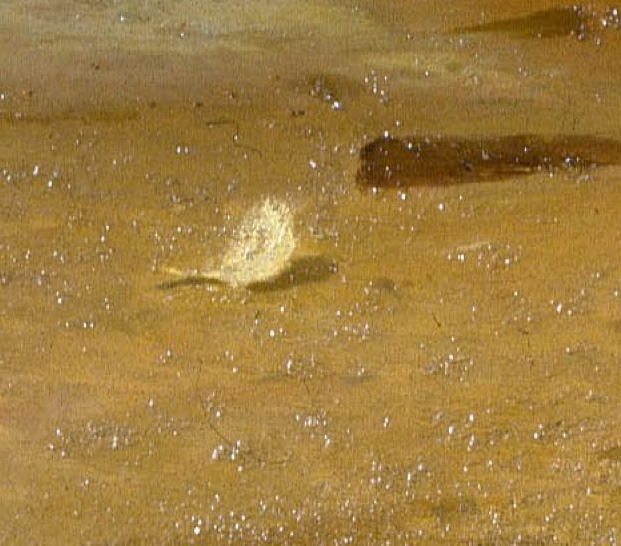 Reading Art: After the Battle. Stalingrad References. This large canvas is called ‘After Igor Svyatoslavitch’s fighting with the Polovtsy’, or simply ‘After the Battle’. It is the 1880 work of Viktor Vasnetsov, the Russian painter who produced a number of popular historical and folklore paintings. They became popular in Imperial Russia and, with their patriotic message, stayed so during the Soviet period. 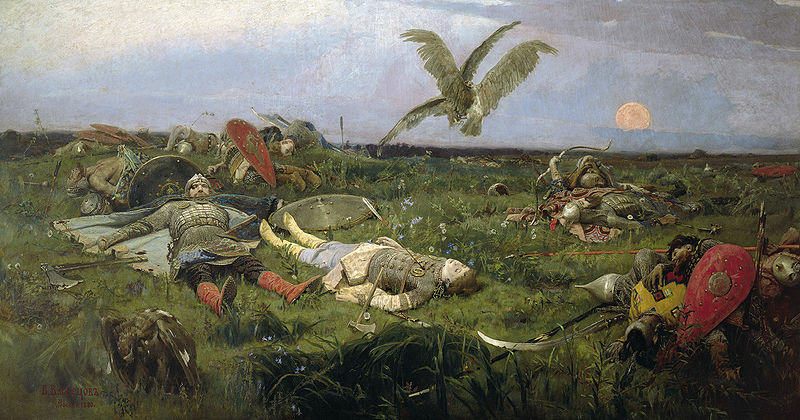 'After the Battle' is exhibited in the Tretyakov Gallery in Moscow. ‘After the Battle’ draws on the imagery of the Tale of Igor’s Campaign, the medieval Russian poem (late 12th Century), about the 1185 raid of Prince Igor against Polovtsy, the nomadic raiders of the steppes in the Don region. He was defeated and taken prisoner. Alexander Borodin based the opera Prince Igor (1890) on the Tale of Igor’s Campaign. The famous Polovetsian Dances (link to wiki) is from that opera. In books, visual references are often lost simply because an image instantly recognisable in one generation, or in one culture, is completely lost in the general consciousness of the next generation, or another culture. A popular picture, a poster, an ad, or a cinema episode may go out of circulation. This is especially true of translated books. Different cultures have different sets of cultural references. And that includes images. It is seventy years since the great battle of Stalingrad (July 1942-February 1943), when the nazi army was crushed on the river Volga deep in the steppes of Russia. The battle was the turning point in the second world war. Vassily Grossman’s epic novel ‘Life and Fate’ (1959) has Stalingrad as its background. In the following passage, the Red Army is amassing troops and armour to the North and South of the besieged city to go on the counter-offensive and encircle a vast German army. As preparations are under way, officers and soldiers have a few pensive moments when they link their war to wars of the past. And Vasnetsov’s painting, that was in all Russian history textbooks, on postcards and posters, and in reproductions that hung in public places, springs up. This an other images by Viktor Vasnetsov can be found on Wikipedia.